The Walking Dead is one of the most popular TV series till now. It’s an American TV series that that focuses on a group of people that are trying to survive in a post-zombie apocalypse world. But as they make their day-to-day living, they realize that zombies are not the only problems they have to deal with. 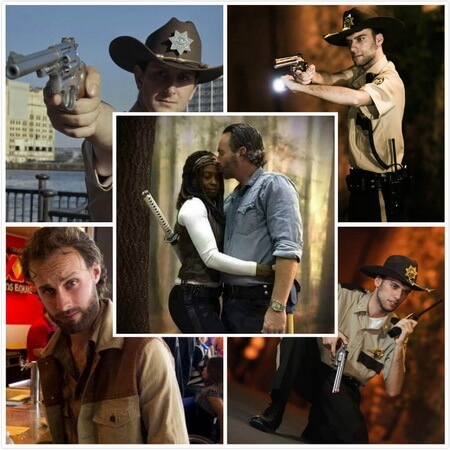 Two of the main characters in this TV series are Rick Grimes, a sheriff and the de facto leader of one of the surviving groups, and Michonne, a tough and samurai-wielding woman. These two are also the most popular characters that people think of cosplaying when it comes to The Walking Dead. Rick started with a sheriff uniform before wearing his usual jeans and brown jacket. Michonne, on the other hand, is known to wear pants with a brown leather vest. These two are also known to carry a weapon, with Rick usually carrying a silver revolver and Michonne a katana. One other character that has also become popular in the series and it’s the villain Negan, a brutal leader of another group that made its appearance in season 6. Negan’s outfit consists of a leather jacket, pants, and his trusty weapon Lucille, a baseball bat covered in barbed wire. 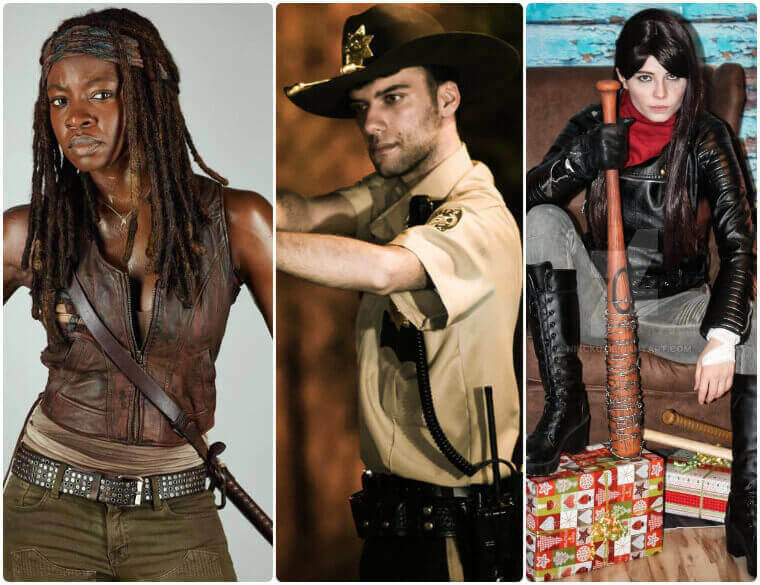 Let's share the Walking Dead costumes DIY guide on the critical characters with you. Rick Grimes is undoubtedly one of the most popular characters in The Walking Dead TV series and the main antagonist. This makes him a favorite choice for a lot of people when it comes to cosplaying characters from the American horror TV series. 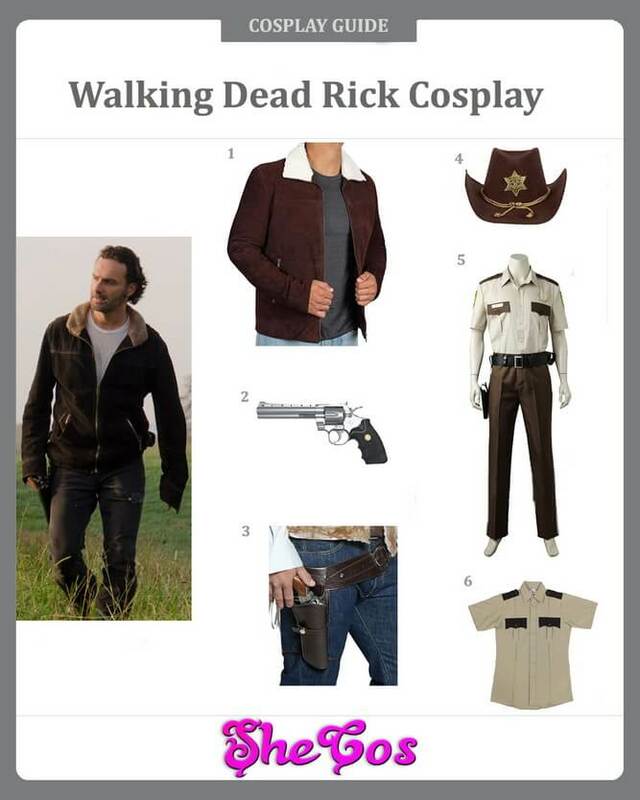 To dress up as Rick Grimes, you have two options with this cosplay set. The first option is that you can dress up as Sheriff Rick Grimes, as the set comes with his full sheriff outfit, complete with the brown Sheriff hat and his silver revolver and a gun holster. If you don’t want to dress up as Sheriff Rick, you can choose to dress up as the Rick Grimes, who is the leader of his group. This set also comes with the brown jacket that he usually wears throughout the TV series. The beauty of this Rick Grimes is that you can choose to wear whatever pants and shirt underneath the brown jacket, as the jacket is really the distinguishing factor of this character. In The Walking Dead TV series, Rick Grimes became the de facto leader because of his background as a sheriff. Because of this background, Rick places a lot of responsibility upon himself to make sure that he and his group will get through this alive together. As you can see from the cosplay photos, Sheriff Rick is tough, strong, and has a strong moral code. But as the TV series progressed, though, Rick realizes that he cannot just be a regular sheriff that abides by the law. He had to be even stronger and tougher to be able to survive in this post-apocalyptic world. And he had to learn this the hard way, experiencing a lot of difficult and unfortunate situations along the way. As you can see in the cosplay photos again, Rick Grimes looks much tougher and hardened than Sheriff Rick. 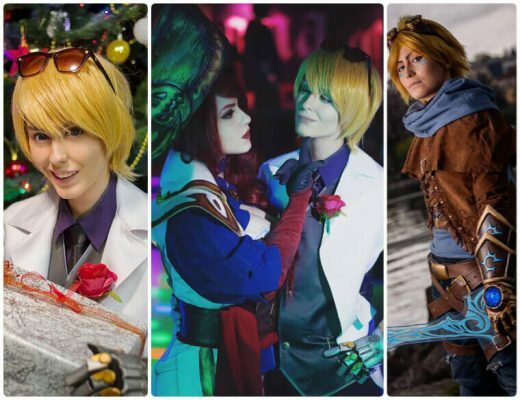 Neither of them is better than the other, and cosplaying the character will really come down to your preference. Michonne is a favorite character in The Walking Dead series because of her tough demeanor, cool appearance, and skills with a samurai sword. Imagine taking on a horde of zombies with just a samurai sword and even having two pet zombies to accompany you? And that is even before she stumbled into Rick’s group. 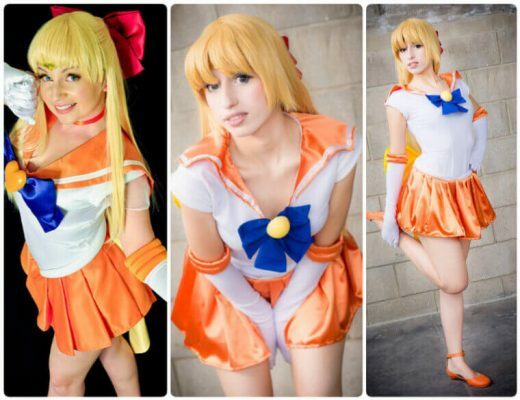 It also makes her a favorite female character that a lot of women want to dress up in. For this cosplay set, you will be getting a brown leather vest, jeans, and black boots. The vest is the distinguishing outfit of Michonne. You can wear any comfortable pants that you want, as long as it is tight. 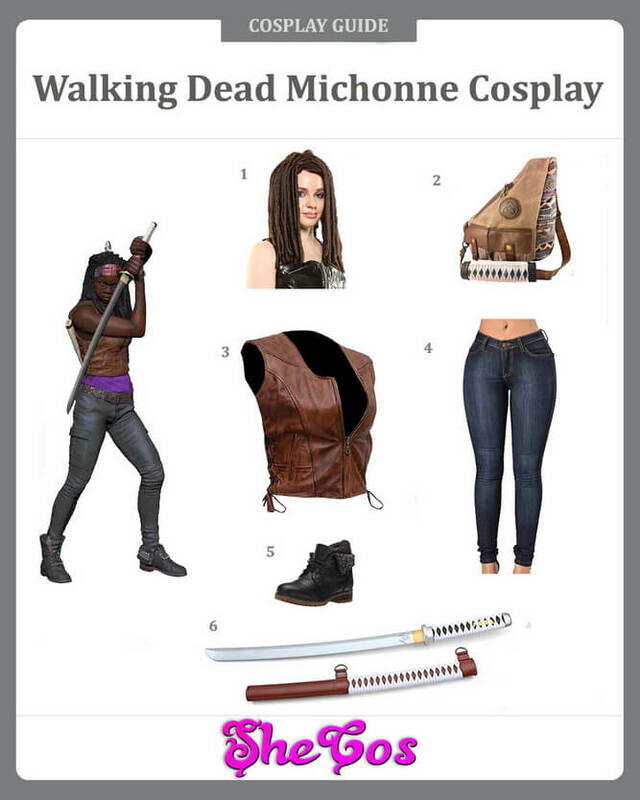 For the accessories, the set includes a long dark brown braided wig to mimic Michonne’s hair, a brown sling bag where you can put your stuff in and Michonne’s weapon, a katana with sheat. Michonne is one of the toughest and most badass characters in The Walking Dead, making her one of the fan favorites of the show. She may be tough, but she also has a good heart and is willing to do what is right and necessary, especially if it’s for the survival of their group. 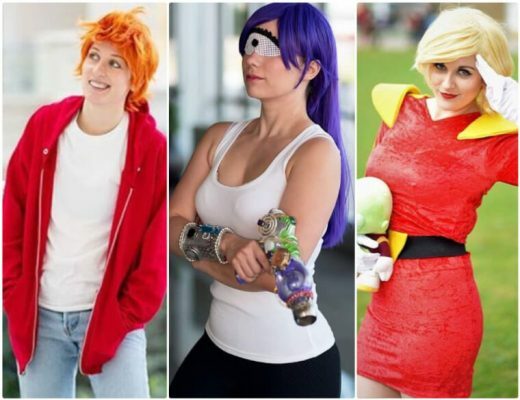 She is also one of the favorite female characters that a lot of women dress up in. The beauty of Michonne is that her badass appearance will always come out in photoshoots, regardless of the background or environment. 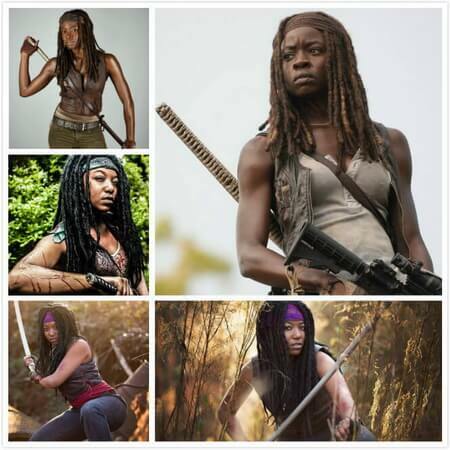 If you look at the cosplay photos, you can see that Michonne’s image will always be that of a female that you don’t want to mess with. Whether the photoshoot is in a studio or outdoors, this character will always have that badass appearance, which makes her a favorite choice for a lot of women. One of the most hated characters in The Walking Dead series is Negan, and it is not only because he wants to rule over the remaining survivors, but it’s also because he killed several fan-favorite characters in the series. Despite this, Negan also has his own fan base and is also a top choice for people to cosplay in. Negan’s outfit is actually very distinct and recognizable, especially his favorite accessory. When it comes to dressing up as Negan, this cosplay kit will have you covered. The kit comes with Negan’s full outfit, including his black leather jacket, black leather gloves, and black boots. This cosplay kit also comes with Negan’s red scarf and his favorite weapon, his baseball bat that’s covered in barbed wire, which he named Lucille. This bat has already claimed a lot of fan-favorite characters, which gives makes this accessory even more special to the character. Negan is not a hard character to hate in The Walking Dead series. He is charming, manipulative, cocky, and brutal. He also has a sarcastic and inappropriate sense of humor and will not think twice to do something awful just to get what he wants. The thing that makes people hate Negan is actually also the thing that makes other people like him. As a villain, Negan is really effective and ferocious, which is why a lot of people want to dress up like him, regardless if they are a man or a woman. 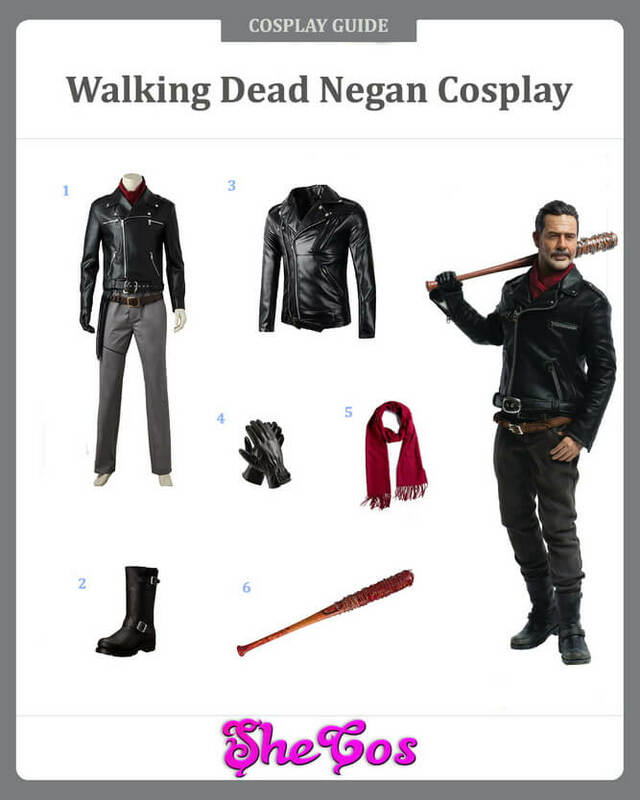 As you can see on the cosplay photos, Negan’s outfit will look great, regardless of the wearer is male or female. This makes this costume a good cosplay idea for couples when they attend comic cons or do photoshoots. They can both go with their matching Negan outfits and Lucille bats.